Disclosure: Thanks to DreamWorks and Fox Home Entertainment for partnering up with us to spread the word on this sweet new release & sending us a DVD for review purposes. We've been huge fans of DRAGONS: DEFENDERS OF BERK since day 1. Got your DVD yet? This recent release just came out March 25th, and it's a keeper, with Never-Before-Seen Dragons and Exclusive Offers for The School of Dragons Online Game! My kids were thrilled with the games and extras on the DVD and the code for on line play. And I was jazzed to have all of our favorite episodes available to replay at will. Click here for our past DRAGONS: DEFENDERS OF BERK coverage. Dragons: Defenders of Berk is one of my tweens' favorite shows and I must confess... mine too. It's a blog stopper. There are three shows my kids dig that I'll stop work for and watch with them. Dragons: Defenders of Berk, Phineas and Ferb, and Gravity Falls. They're all excellent, have great animation, they're entertaining, and they are so well written. 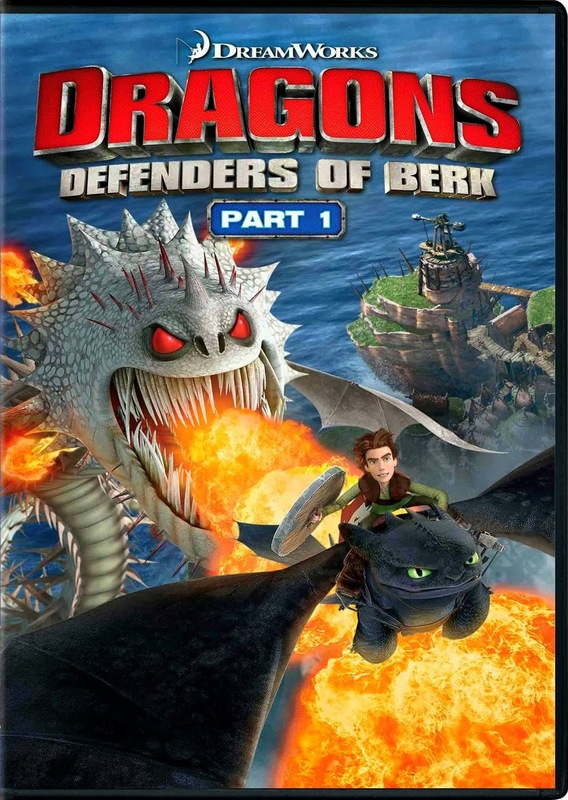 So, we're super stoked to announce that “DreamWorks Dragons: Defenders of Berk Part 1″ is now out on DVD!! We're also more than a bit excited about the film sequel coming in June. Check out more of our past coverage of the LIVE stage show here. It totally blew our minds and is still one of our all time favorite arena shows! Disclosure: Thanks again to DreamWorks and Fox Home Entertainment for partnering up with us to spread the word on this sweet new release & sending us a DVD for review purposes. We've been huge fans of DRAGONS: DEFENDERS OF BERK since day 1.